Is it really going to happen on 21st December 2012? Editors note: Back in 2012, this was easily the most popular section of Urban Astronomer. Now, two years later, hardly anybody seems to even remember what all the fuss was about. Still, since these sorts of doomsday prophecies tend to recur (the prophets have book sales to sustain, after all! ), I’m keeping it all up as a reference. If you stumbled upon this page looking for information on some other doomsday story, foretold by the ancients, then please stay and read on. I’m sure this information will help give some perspective on just how poorly researched these “prophecies” usually are. The answer, as explained in depth right here, is “No, it’s not going to happen at all!” But even if you don’t buy the standard Skeptics debunkings, there are a few questions you should be asking about these ancient mayan doomsday prophecies. The first, of course, should be “Where are these prophecies and why have we only heard about them in the last few years?”. Actually, most archaeologists and scholars of the ancient Mayan civilization would love to know this, as they seem to think that the Mayan’s had no concept of the world ending at all. But the authors of doomsday books don’t seem interested in sharing their sources with the academics. I guess they’re as serious about protecting their book sales as they are about warning the public of end times. . . But a simpler question, which the experts in the field can answer, is “How do we know what date this is all actually supposed to happen? How do we convert a date on the Mayan Long Count to our Gregorian Calendar?”. The various Mayan Calendars were very precisely worked out, so if we can just find an event common to both European and Mayan histories, we’ll have a common date and it becomes easy to convert between the two systems. At the beginning of the twentieth century, three Maya scholars (Joseph Goodman, Juan Martinez-Hernandez, and J. Eric S. Thompson) examined both Mayan and colonial historical documents to find common points and developed the GMT (Goodman/Martinez/Thompson) constant, currently accepted by experts in the fields as the standard conversion factor. Whenever a scholar of the ancient Mayan culture wants to convert a date from Mayan records into something that makes sense to modern readers, he uses the GMT constant. This is how we know when great battles were fought, when chieftains were born and died, and when the world is supposed to end. But there are dissenting voices. 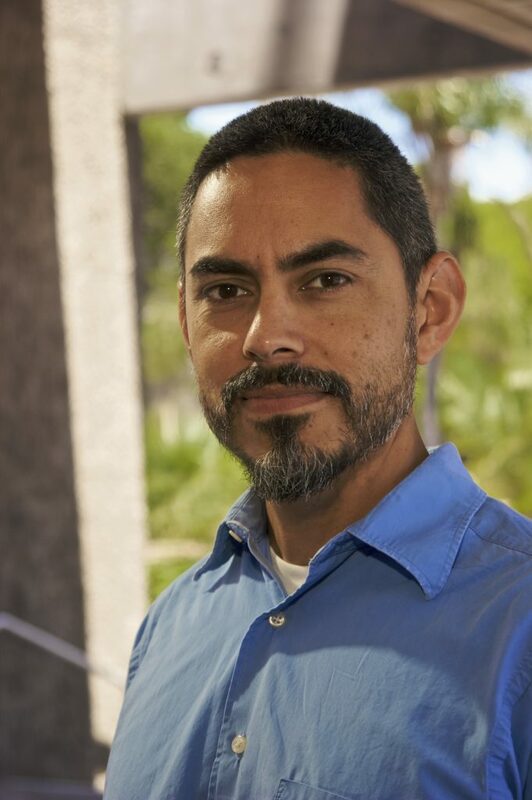 Gerardo Aldana, associate professor of Chicana and Chicano Studies at UC Santa Barbara, has been approaching the conversion problem from a different angle and believes that the GMT constant could be out by as much as fifty or even a hundred years. Instead of trying to match up Mayan and colonial versions of history, he has taken an astronomical approach. As the doomsday prophets love to point out, the Mayans were very careful astronomers and kept careful records of the movements of the planets, as they believed that they controlled the destinies and day to day lives of ordinary Mayan people (not so different from European astrologers). The motions of Venus, in particular, were considered important enough to have their own calendar: The Venus Cycle. An earlier scholar, Floyd Lounsbury, attempted to use the Dresden Codex Venus Table (a portion of an ancient mayan manuscript, which had been housed in a museum in Dresden for many years before it was almost destroyed in World War II) to confirm the accuracy of the GMT constant, and later scholars interpreted his work as a convincing proof that the GMT table was accurate. However, Aldana contends that none of these scholars had the astronomical background necessary to fully understand the Venus Table. In his recent publication “Calendars and Years II: Astronomy and Time in the Ancient and Medieval World” (Oxbow Books, 2010), Aldana demonstrates that Lounsbury’s reasoning was flawed, and proceeds to demonstrate that the GMT constant is not in fact accurate at all, eventually leading up to the 50 to 100 year error mentioned previously. Now it must be understood that Academics do not present truth, so much as search for it. We should not take Aldana’s (or any other scholar) word as gospel. Other researchers will need to pick up the thread of his work and independently reach the same, or similar conclusions before the GMT constant can be abandoned. Nevertheless, Aldana makes a convincing case, and if he proves correct then it knocks yet another nail in the coffin of the 2012 Doomsday Cult.